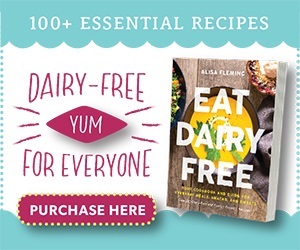 Earlier this week, I mentioned a dairy-free corn soup recipe from my kitchen. The idea was initially inspired by Eating Well and a magazine app I was enjoying, Texture. But I went completely rogue from that “Chicken Corn Chowder” using simpler plant-based ingredients that everyone can enjoy and relying on one of my favorite ingredients, good-quality coconut milk, for just a touch of creaminess. I call this a “summer” dairy-free corn soup, because it has such fresh, light and delicate flavors that it really lets seasonal produce and herbs shine. Tony pointed out that using coconut milk gives it a slight sultry Thai influence, making it perfect for fresh basil. Most corn soup recipes start with a heavy saute of onions (and sometimes garlic) in oil. After a full year on the low-FODMAP diet in our household, we did find onions and garlic to be problematic. So these days, I typically skip allium plants when making dishes just for us. At first I thought it would lead to flavorless cooking. But Tony and I soon discovered that onions and garlic tend to overtake the flavors of many entrees if used even slightly in excess. By passing up the onions and garlic, not only does this dairy-free corn soup recipe become oil-free, it also takes less time to make (no sauteing!). Plus, it lets the other fresh produce take center stage and allows the coconut milk to assert a very complimentary and subtle Asian influence. Consequently, my gently creamy dairy-free corn soup looks nothing like the chunky chowder on the app that inspired it all. 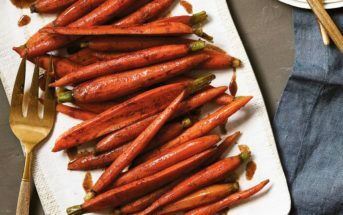 It’s a completely different recipe with a pure infusion of corn, natural sweetness of carrot, slight starchiness of potato, and that delicious hint of coconut milk. I admit to sometimes using coconut milk in recipes purely for it’s creaminess factor. I often use other ingredients to “mask” the coconut influence. 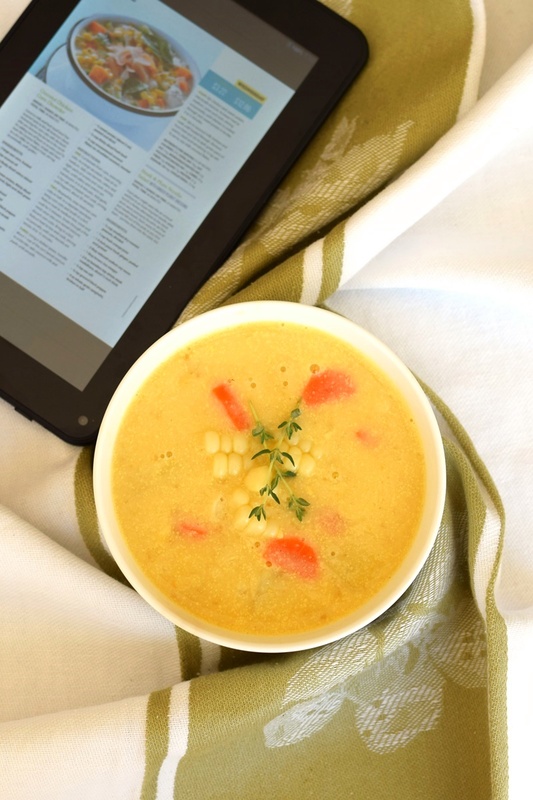 But in this dairy-free corn soup, the coconut milk is allowed to be a component of the flavors. It doesn’t overwhelm in the least bit, but rather helps to enhance the other fresh ingredients and give it that cultural flair. 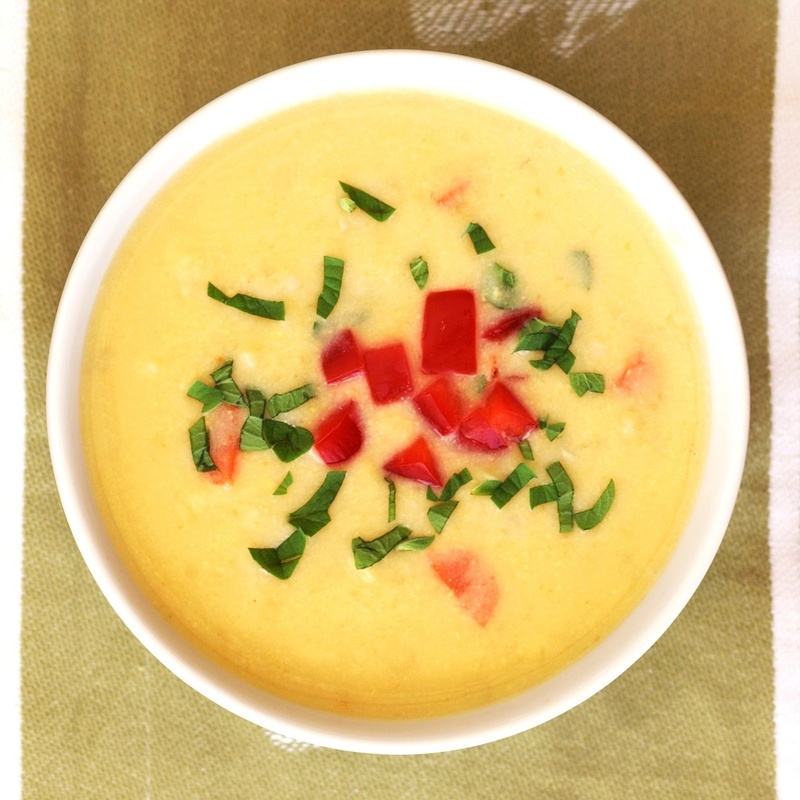 In fact, I think many coconut protesters may actually love this creamy dairy-free corn soup. 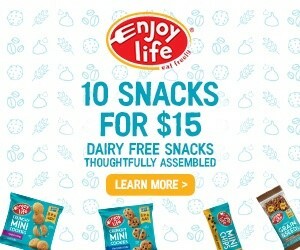 This post is sponsored by So Delicious Dairy Free, but the opinions, recipe, photos, and ideas are my own. I take any opportunity to showcase their Culinary Coconut Milk, which is one of my personal favorite ingredients. It’s one of the purest coconut milks on the market and can be used in recipes just like the canned versions! 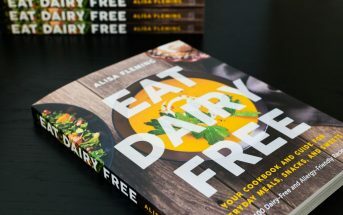 By ingredients, this recipe is dairy-free / non-dairy, egg-free, gluten-free, grain-free, nut-free, peanut-free, soy-free, optionally vegan, plant-based, vegetarian, and optionally paleo. Cut the kernels away from the cooked corn ears. I get about 2 generous cups of kernels. Heat the broth in a medium pot over medium heat, until it comes to a boil. Add the potatoes, carrot, and thyme. Add the naked corn ears (I break them in half to fit). Reduce the heat to low, cover and simmer for 15 to 20 minutes, or until the potato and carrot pieces are tender. Remove the corn cobs and thyme sprigs from the soup (I use tongs) and stir in the corn. Add about 1½ cups of the vegetables from your soup and about ½ cup of the broth to your blender. Add the coconut milk and puree until smooth, about 1 to 2 minutes. Pour the blended mixture back into your soup and season to taste with salt and pepper, if desired. The amount of salt you need will depend on the broth or stock you use. Don't under-salt - it's soup! Serve topped with sliced basil, diced red bell pepper, chives, or your fresh toppings of choice. Roasting Corn: I preheat my oven to 400ºF and pop those corn cobs in, husk and all (frilly stuff trimmed away). I let them bake for 30 minutes, cool for 10 minutes, and they are ready to be de-husked and enjoyed. Quite literally 2 minutes of hands on work! Why I always have So Delicious Culinary Coconut Milk on hand, never know when you’ll need it! Can’t wait to try this! That stuff is the best! I always have it on hand, too. This soup is so perfect for summer!!! I can’t think of a better way to enjoy corn. Love everything about this soup! 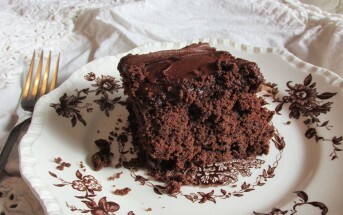 Will definitely be on my list of need to make! Such a great use of this summer’s corn! Can’t wait to try this delicious soup! Yes, it works well in this application! 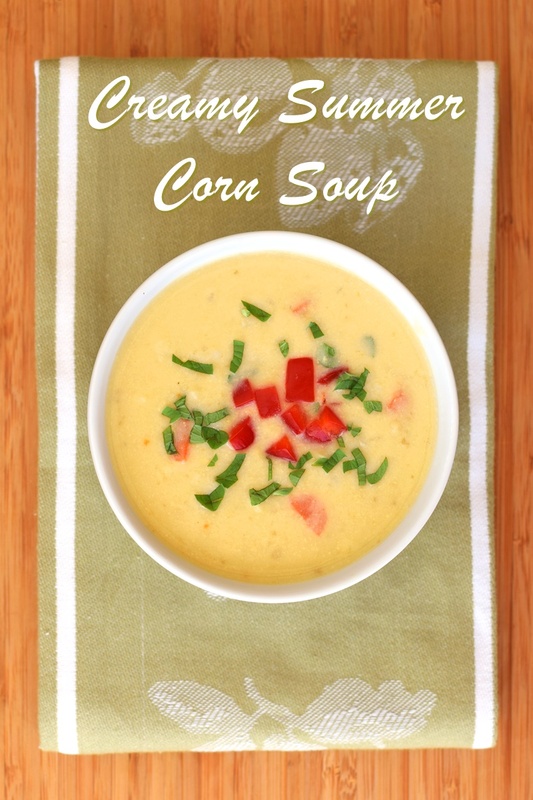 Corn soup is one of my faves – especially with fresh sweet corn. Love this creamy version. Gotta try! Hi, Alisa. This looks delicious. Summer corn is the stuff dreams are made of. Question: I know you can’t freeze cream based soups, but can you freeze dairy free coconut cream based soups? Hi Jane, yes, it should freeze well. Coconut milk freezes beautifully. I actually freeze leftovers into cubes for using in recipes later. This looks like a great choice for a summer soup. I am loving the fresh corn right now! You and me both Kristen! I love how the flavors in this dish all come together to create a delicate flavor that is perfect for summer! And I love how it showcases fresh herbs as well. Looks delicious! 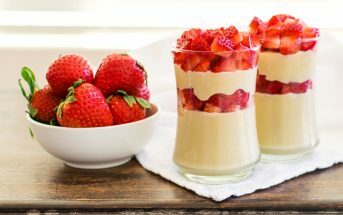 This looks great for summer! 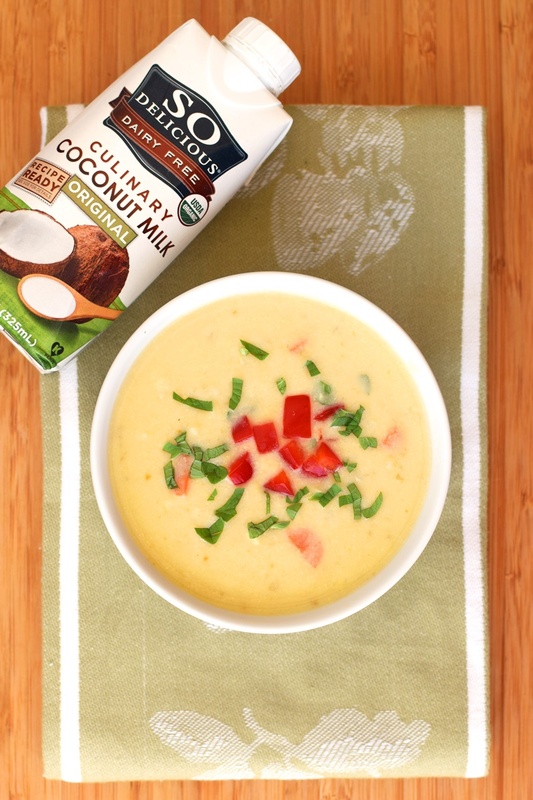 I love the addition of coconut milk for a light and creamy summer soup! It really is. I’ve been really into the fresh corn this year – it’s so wonderfully sweet.